Ba Be Natioanl Park is the largest natural freshwater lake in Vietnam with exceptional fish diversity, a population of langurs, over 200 bird and 350 butterfly species, geological treasures and mature primary limestone forest. In places like this, careless tourism can bring human distuarbances and endanger the heritage, while thoughtful Hanol - Ba Be lake group tour with a controlled impact provides excellent support to conservation projects in the area and helps the economies of local pepole. We share your desire for the latter option and promise that nature knows how to return your kindness. Sorrounded by the lush green of the forest we hope you enjoy and learn from the time spent with all of our friends there and raise a glass of corn wine with your hosts, toasting the health of our shared environment. 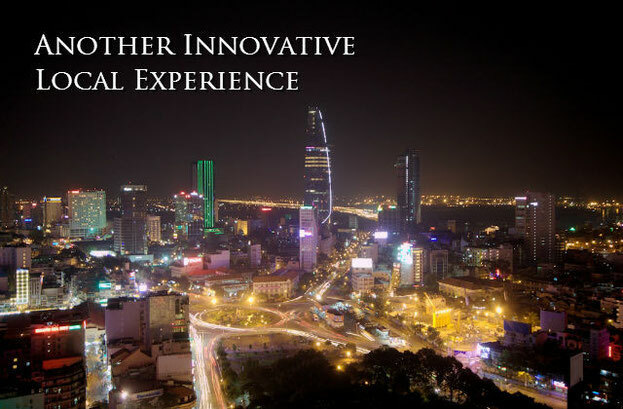 The city never sleeps in Ho Chi Minh, and neither do we. Join our night birds as we trawl the city for the most exciting nightspots, food, and glittering splendors. So whether you are a party animal looking for an electrifying night out, or an insomniac craving for cheap and fresh seafood at midnight, we know exactly how to keep you awake. If high energy parties isn't your thing, this city tour will take you to where the splendid lights, and most magnificent night views are.